27.06.2014 - Nongsa, Batam. Im so desperately hungry for scones, perhaps im starving too. 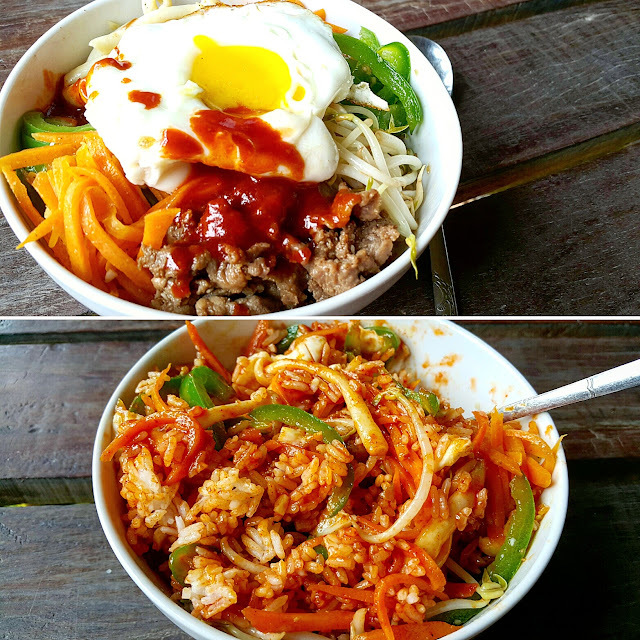 This recipe is quick and easy. I have made 9 scones with this recipe. 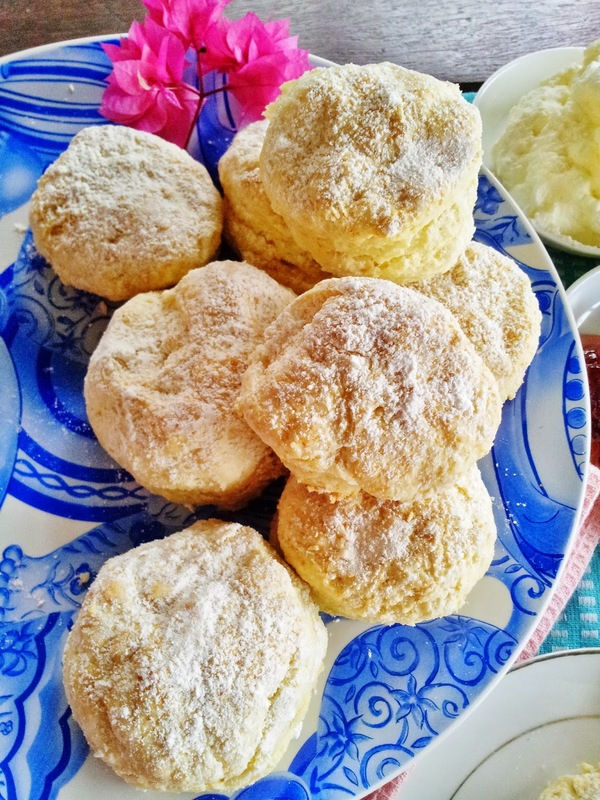 Following this recipe, you can make a batch of scones in no time to feed your hungry stomach!! There is no secret of making a good scones. It is very simple, you just don't over knead or over mixed it, your scones will good to go into the oven and you will have a fluffy and soft scones to enjoy. 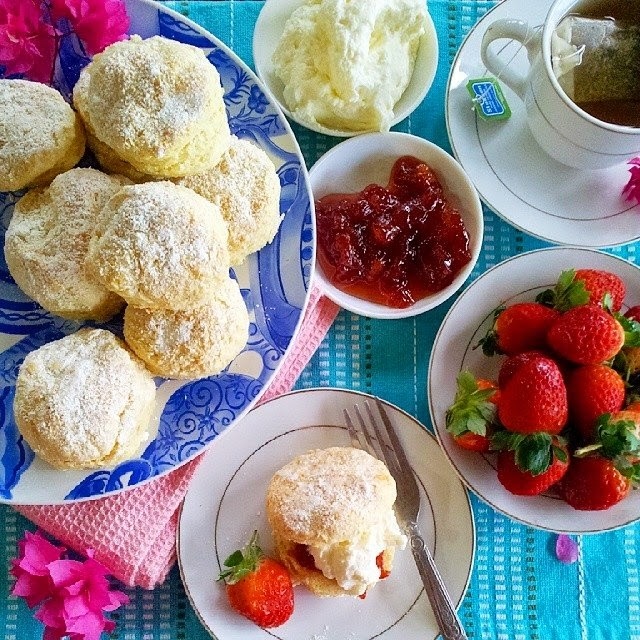 A cup of tea is never the same without scones - served with freshly whipped cream and strawberry jam and some fresh strawberries. Put dough onto a lightly floured surface and knead gently until smooth (don’t knead dough too much or scones will be tough). Pat dough flat and cut into 9 rounds. If you want to make a bigger batch, simply double all the ingredients in the recipe. Place scones onto prepared baking tray and sprinkle tops with a little plain flour. Bake at 240°C, 13 minutes + (until golden brown). Transfer to a wire rack. Serve warm with jam and cream.